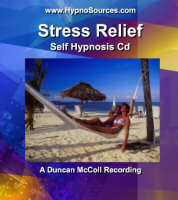 Stress Hypnosis recording helps as stress affects all of us in different ways. An event that will make someone stressed and anxious may have little or no effect on another person. This self hypnosis Stress Relief mp3 or stress management hypnosis cd will help you to get back in touch with your ability to relax, feel calmer and in control. Stress managment really is essential to healthy living. Continued use of the stress relief hypnosis cd or mp3 download will allow you to start each day from a more calmer and relaxed disposition rather than from a feeling of dread about the day ahead. Are you ready to enjoy the benefits of stress management techniques and release your stress, relax easily and feel calmer and in control more often ?